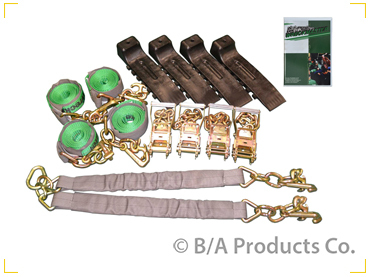 Winch Bars - BA Products Co. The 24” Winch Bar is recommended for strap truck applications. The 28” and the 34” Winch Bars are used on 1/4” Grade 70 Transport Chain. The 38.5” Winch Bar is only used on 5/16” Grade 70 Transport Chains. Refer to your car haul manufacturer’s manual for usage.